Report hunt results by Jan. 31, $25 penalty for not reporting deer and elk tags by deadline. SALEM, Ore.—Any hunter who purchased 2014 big game or turkey tags needs to report their hunt results by the deadline, which is Jan. 31, 2015 for most tags. The two digit Wildlife Management Unit (WMU) number of the Unit you hunted in most and the Unit you harvested an animal in if successful (see pages 94-95 of 2014 Big Game Regulations or Hunting Unit Maps webpage). Hunters who fail to report 2014 deer or elk tags on time will be penalized $25 when they purchase a 2016 hunting license. This penalty is assessed once, regardless of the number of unreported tags. As of Dec. 10, more than 70 percent of deer and elk tags remain unreported (or 135,533 deer and 90,178 elk tags). ODFW used to get this data through phone surveys but these became more difficult and expensive as hunters moved or screened their calls. The mandatory reporting program was put in place in 2007 so these calls could be phased out. A penalty of $25 was added two years ago because even after several years promoting the program and providing incentives to report, only about 40 percent of tags were being reported on time. This rate was too low to for ODFW to even use the data. After the penalty was implemented for 2012 tags, rates jumped to 80 percent or more. This has allowed ODFW to phase out its big game survey calls; the agency no longer makes these calls. 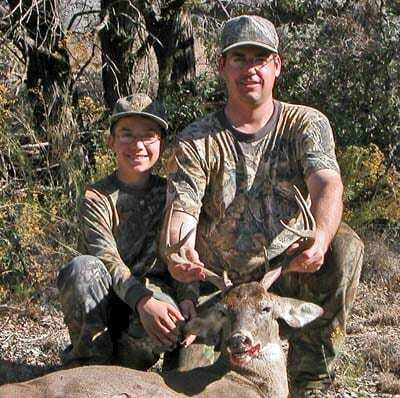 Hunters that report on time are entered into a drawing to win a special big game tag. ODFW selects three names each year and the winners can choose a deer, elk or pronghorn tag. Hunters who win may hunt an expanded hunt area and extended season, similar to auction and raffle tags that hunters can pay thousands for. “What a fantastic surprise earlier this year when I received the news of this lottery,” said one of last year’s winners, Brian Tuttle of Powell Butte. “We came into 16 bulls in two days.” Tuttle took a large bull elk in the Wenaha Unit (see photo). Another 2014 winner, Lorne Becker of Pendleton, took a 6 x 6 bull elk in Wenaha. More information on mandatory reporting.